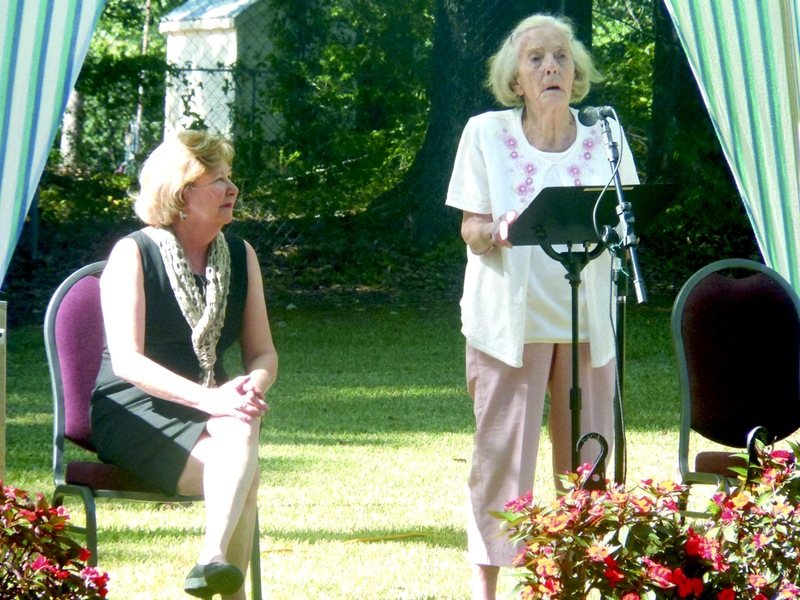 On Wednesday, August 27, 2014 there was a Celebration Ceremony on the front lawn of the GARC. Mary Fitzhugh, co-founder of the GARC shared with guests the history and incredible beginnings of the organization. A Kwanzan Cherry Tree and stone bench were dedicated during the ceremony. The bench is engraved with the names of people who made a huge impact in the life of the organization. Those names are Mrs. Alice Hardin, who carried out the day to day operations of the GARC, Mrs. Esther Kirkland and Mrs. Mitzie Mills who were instrumental in establishing a greenhouse at the GARC and Mr. Collier Goff “Bo” Jackson, who was honored for his life as well as keeping everyone’s vision focused on the mission of the GARC. At the annual membership meeting, the General Membership of the GARC voted unanimously to approve the nominating committee’s recommendation for new board members. Robert Goldberg and Brent Fortson began their term as GARC Directors in July. Existing Board Members include Sandra Landry, President; Wendy Sauley-Simmons; Vice-President, Lynda Sisson, Treasurer and Steve Wallace, Secretary. Directors include Betty Moore and Reid Flanagan. Dr. Robert Hayden is Immediate Past President. The GARC welcomes these two new board members. 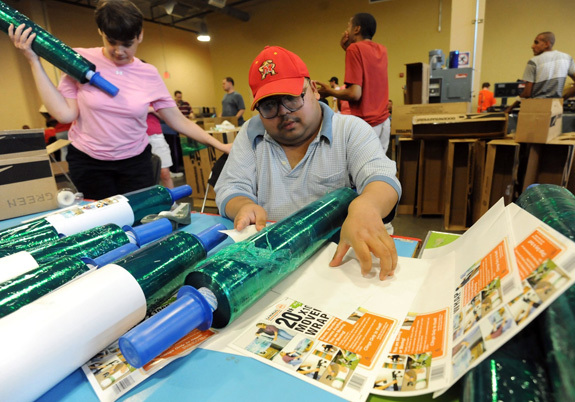 Federal lawmakers are moving forward with a plan to require most students with disabilities to try competitive employment before they could be employed by sheltered workshops. The U.S. Senate voted 95 to 3 on Wednesday to approve a sweeping jobs bill known as the Workforce Innovation and Opportunity Act. Tucked within the measure are significant changes for students with disabilities transitioning to adulthood. Chiefly, the bill would prohibit individuals with disabilities age 24 and younger from working in jobs paying less than the federal minimum of $7.25 per hour unless they first try vocational rehabilitation services, among other requirements. There are exceptions, however, for those already working for what’s known as subminimum wage and in cases where individuals are deemed ineligible for vocational rehabilitation. Fifteen years ago, when Justice Ruth Bader Ginsberg announced the decision of the United States Supreme Court in Olmstead, it was immediately clear it would become the most important legal victory for people with disabilities in American history. Yet, little changed in the first years after the decision. The Supreme Court required Georgia, and each of the other states, to provide people who were confined in institutions equivalent supports in the community. However, because of the complexity of this transformation, the Court said that states could create and carry out plans for transitioning from institutions to the community with reasonably-paced moving waiting lists. This caveat resulted in a lot of planning and very little changing. Georgia formed commission after commission to study how the State would make changes to comply with Olmstead. But it took little action. Real change did not begin to occur until after a series of Atlanta newspaper articles brought attention to terrible incidents at Georgia's state-run psychiatric hospitals. In their 2007 "Hidden Shame" series for The Atlanta Journal Constitution, Allen Judd and Andy Miller wrote that 115 people died under suspicious circumstances in the state hospitals over a five-year period. The problems were linked to overcrowding and poor care. The series began with the story of Sarah Crider, who was a seventh grade girl who died from lethal constipation caused by her medications. The Georgia Council on Developmental Disabilities is the state's leader in advancing public policy on behalf of persons with developmental disabilities. GARC is honored to be a proud recipient of proceeds from the Kiwanianne Korn Dawg Booth.